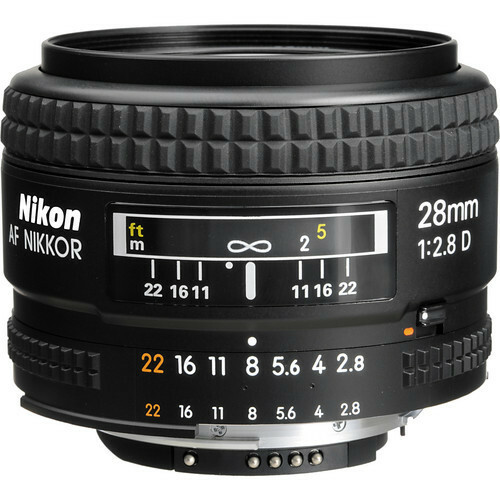 Nikon 28/2.8D lens is designed for the photographer who wants to carry only one wide-angle lens, when travelling or at home, the NIKon 28mm f/2.8D Lens offers exceptional flexibility, from landscapes to star trails. 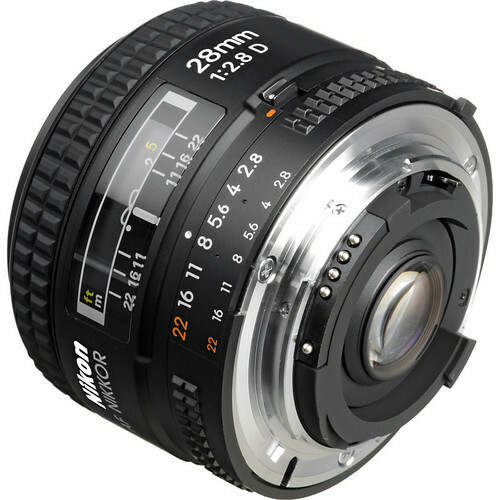 This standard wide-angle lens has a 74° angle of coverage which will let you capture beautiful portraits, and candids. For getting in close to your subjects you can focus down to 10.2″ (259.1mm) to capture images with a dynamic perspective. 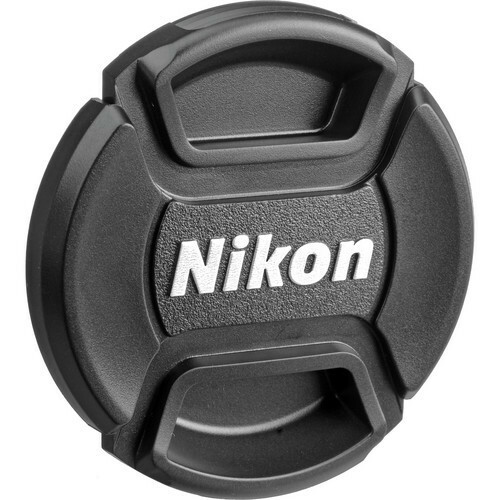 Nikon 28/2.8D lenses transmit subject-to-camera distance information to the camera. The camera uses this distance information to refine its exposure calculations. The D-type lenses are necessary for many newer Nikon cameras to activate 3D Matrix Metering. G-type lenses also incorporate D technology.